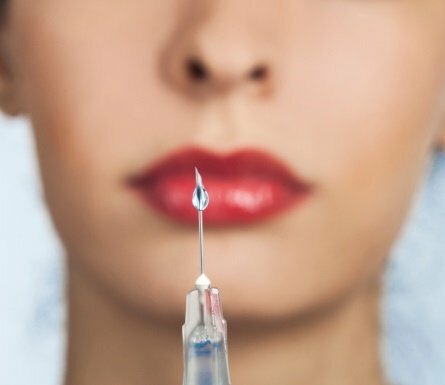 Before you make a decision, ask yourself: why should I have Botox? 4 things you need to think about before having facial injections. In just a few years it seems to have gone from something that only celebrities would have injected – and then, fiercely deny – to something that ordinary women are getting done and talking about openly. So if everyone’s doing it, it’s got to be completely safe, right? Well, not exactly. While injections are relatively safe in the hands of an experienced doctor, there’s always the possibility of side effects. And in the hands of someone who isn’t experienced… well, it’s a bit less safe. Here are a few things to think about before you front up for a needle. Just as an FYI, you should know that this post is sponsored by Frostbland. But all opinions expressed by the author are 100% authentic and written in their own words. 1. Some injectables can be lethal. Botox is made from the botulinum toxin. In 2008, the Food and Drug Administration in the US announced that Botox had been linked to “adverse reactions, including respiratory failure and death”. The worst reactions were reported in children with cerebral palsy who were being treated with Botox. Obviously, the risk of anything terrible happening is extremely small, but it comes down to what risk you’re prepared to take for a cosmetic procedure. 2. They can make you look weird. More than a decade ago, singer Cliff Richard claimed he stopped using injectables because they made his eyelids droop. This is still one of the most common side effects, along with a crooked smile and eyes that are dry or excessively teary. These side effects generally wear off in a matter of weeks, but if your appearance matters to you so much that you’re having injections, then those weeks will probably feel like a long time. Other possible side effects include bruising, swelling and allergic reactions. 3. Freezing your face can affect the way people relate to you. Freezing your face tends to limit the range of emotions you can express. Research done by Dr David Neal from the University of California in 2011 showed that babies with Botoxed parents couldn’t get an emotional response from them. This left the babies distressed. That’s a big price to pay for being a younger-looking mum. Why not try an anti-ageing product instead? I’m using an aptly-named WrinkleBlock crème from cult UK beauty brand Transformulas instead of resorting to needles. 4. Injectables don’t make your whole face look younger. If you just have your forehead treated, it might look smoother, but you’ll still have those crow’s feet near your eyes. This could make you look a little strange. A product like face contouring cream will work on rejuvenating your whole face at once. Wouldn’t it be great if you could notice a natural-looking improvement without a needle? What do you do to keep yourself looking younger? Would you or have you had facial injections? Transformulas.com is the official website for the best skin care products and anti ageing products, Special offers for Anti aging products that really work.